Hope The Budget Airlines Aren't Reading This! The battle for the best seat on a plane is one airlines seem to find ever more inventive ways of monetising. But flight comparison website Skyscanner today claimed to have identified the perfect place to perch. The site surveyed more than 1,000 airline passengers on their seat preferences - the study did not consider the extra legroom factor - looking at which section of the aircraft they chose, and whether they sat in the middle, aisle or window. And the verdict is in - seat 6A. Best and worst: A graphic shows what those polled thought Previous research has found that passengers prefer the front six rows of the plane, while 60 per cent of people favour a window seat, 40 per cent opt for the aisle and just one per cent the middle. The survey also found that 31E, a middle seat located near the back of the plane, was the one most wanted to avoid. Skyscanner travel editor Sam Baldwin explained the reasons for the results. He said: 'Our poll shows that travellers are very particular about where they sit, with most people heading towards the front of the aircraft on the left hand side. 'The most popular seat, 6A, is well positioned for those wanting to disembark the aircraft quickly without being too close to the hustle and bustle of the front toilets. He added: 'There is always a great rush to get on board and get that favoured seat and I think it is really interesting that there are so many differing opinions on this. 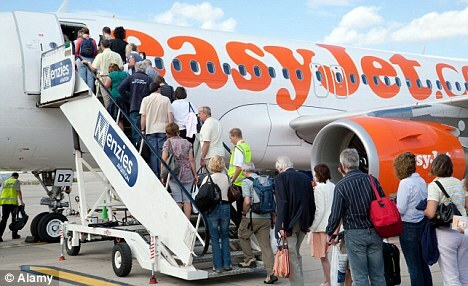 Budget carrier easyJet recently announced that it was trialling a charge of up to £12 per person for passengers to reserve their seats on flights. £8 to be seated in the front few rows and £3 for any other seats. If you are in the business class, good seats.In economy class, not so good seats. Budget airlines, goodbye to your not-even-good seats. Its your choices. Thanks for giving this information about which is the best seat in plane.